Pre-Viking Run selfie, with obligatory hat. I started off at the front and immediately opened up a small gap of about 10-15 seconds during the first mostly flat mile. Tim Kosteczko, a local runner who's been putting in some good training recently, was hanging tough in the early going, but I was pretty sure that once the climbing started I'd be able to pull away. We hit the first hill just past the mile mark and proceeded to climb for the next 10+ minutes; by the time I reached the top I couldn't see Tim behind me. The course then drops precipitously for about a mile, turns around, and retraces its way back to the start. I had a two-minute lead at the turn and knew I was pretty safe in terms of the win, but continued trying to push myself for the sub-40. The return climb is absolutely brutal, and I struggled near the top, but was able to recover quickly on the way back down and hold on for a 38:55 and a three-minute victory margin. This year, for the first time, local running nut Chris Regan had awards made for the race, and I wound up taking home a pretty cool viking horn trophy, out of which I imbibed a few that evening. I'm on an odd-year-only streak with RFTH. It's a race I've tried to do every year, but in the even years, something seems to get in the way. (Last year it was Bandera.) Still, I had secured wins in 2011, 2013, and 2015, and while it's certainly a casual event, 2017 marked my chance to become the first four-time winner of the race. Among a champions' lineup that includes US national team members (Byron Lane) and American record holders (Sabrina Little), that would be a pretty cool deal. Not to toot my own horn, but...well, yes, to toot my own horn. I'm very excited (and confused) to announce that I've been shortlisted by RunUltra for their (prestigious?) Blogger of the Year award. Honestly, this is a great honor, and I'm a bit humbled by my inclusion (though not too humbled; I'm still kind of an insufferable jerk about this sort of thing) on a list of many great blogs which I myself enjoy. However, I'm certainly not so humbled that I don't want to win! So if you enjoy my (and Lexi's; this whole blog was her idea) ramblings, please consider voting for me. It's a little confusing; when you vote, highlight my name/blog, then you have to scroll down to the bottom of the page and enter your name and email address. You can only vote once per email address, and once per computer (or computer user), but if you have multiple users on a computer with separate logins, and/or multiple email addresses, that seems kosher. So, if you like the blog, please vote. If you really like it, have your kid/spouse/significant other log on and vote too. If you love it, vote from your home computer and your work computer. If you really love it, vote from the computer of the guy who sits next to you at work, then go to your local library on the way home and vote there. In case you didn't get the hint above, here's the link to vote. Thanks for the support. I know you always laugh at actors when they say about an Oscar, "Just being nominated is an honor," but that's actually true, and it's just nice to be recognized among the many other great ultrarunning blogs out there. But winning is nice too. The most anticipated day of the ultra running season is almost here. Merry Statesmas, everyone! Seven of last year's top 10 women are back this year, and they're found by a murderer's row of talent from the Golden Ticket races and elsewhere. 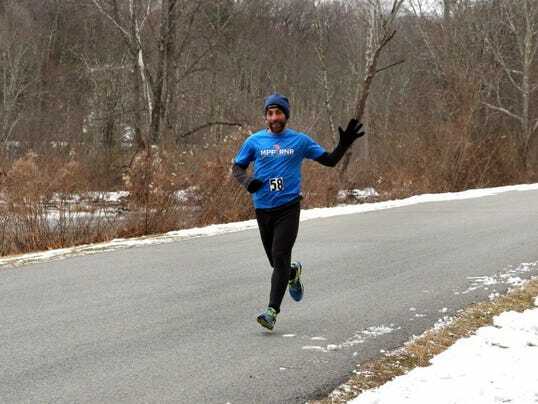 Fourteen of last year's Gunksrunner Ultra Rankings top 50 are set to run; sixteen of the current 2016 top 50 are entered (including four of the top 5). I think the women's field is at least as deep as the men, which is not always the case. The only difference is the relative lack of top women from overseas, but I don't expect that to affect the quality of the race one bit. Everything else aside, this is Magda's race to lose. The defending champion and the top marathoner in the field has both the mountain chops and the leg speed to meet any challenge. Her early season results have shown her to be on form. Anything can happen over 100 miles, but from where I sit, she's the overwhelming favorite. She had a monster 2015, with top finishes at Bandera, TGC, States, and UTMF. She's had a bit of a quieter start to 2016, but a dominant win at Miwok shows she's ready to go. The Pixie Ninja is clearly in top form following her second-place finish at Lake Sonoma and has placed in the top 5 at WS in both 2014 and 2015. She's more known for her prowess on the roads, but she's been running very well on both roads and trails since her return to the scene at Two Oceans last spring. States tends to look kindly on speedsters, and she's got one of the fastest marathon PRs in the field. After she crushed me--and the national master's record--at Caumsett in March, I'm looking for her to improve on last year's finish. Flying a bit under the radar, but incredibly consistent across multiple distances. I like the road speed, I like the experience, and I like that she won Black Canyon to race her way in to WS. I feel like I might actually be selling her short here. She's won almost everything she's entered the past two years, save a second place only to Cassie Scallon's CR at Bandera. She DNF'd at Rocky Raccoon in February, but has won a couple of smaller races since then, and I'm a bit afraid to bet against her after what she did at UTMB last year. Another incredibly consistent performer and a very prolific racer. Most of her success is on more technical tracks, though, and I'm not quite sure of her flat-speed credentials. Unlike the women, none of last year's top four are back in 2016. If anything, though, the men's race is a little tougher to handicap, because I find the top Europeans to be a bit of a confounding variable. Partly because I don't follow the Euro circuit nearly as closely as the US events, but also, I'm never sure how their success translates on this side of the pond. In the nine races of the PJE (Post-Jurek Era), only one foreigner (the great Killian Jornet) has won States, and it even took him two tries to do it. Last year's European contingent was as strong as any in recent memory, and scored an impressive 4-5-6 finish, but can one of them break through for the win? Regardless, despite the Euros, and despite the presence of eleven of both the 2015 and 2016 GUR top 50 in the starting field, I feel like this is a three-man race for the win, between Jim Walmsley, Sage Canaday, and David Laney. After an unbelievable 2014, Sage had a bit of a frustrating 2015, as evidenced by his disappointing (for him) 15th at Comrades and his injury-induced DNF at UTMB. But he still managed a dominant win at Speedgoat and put up four sub-2:21 marathons in a 12-month stretch, and since barely missing the OTQ and recommitting to the trails, he looks to be back to his old self. I don't want to bet against Jim or Dave, but I'll back my fellow Cornell XC/track alum. Go Big Red! This feels a little bit crazy. No one beats Jim Walmsley these days. (I mean, like no one. He hasn't lost in over a year.) It's his first crack at 100 miles, but States has seen rookies have plenty of success in the past. (Look at Krar in 2013, or Magda last year.) Can leg speed and overwhelming talent trump experience? Ranking last year's UROY as the third choice makes me feel sick to my stomach. Let's just move on. He's the top returning finisher from last year and may have more of the profile of the Europeans who are successful at States (which is to say, "fast," rather than strictly mountain-goat). I know very little about him, but he won TGC this year, so what the hell. Ian will finish sixth because I feel like Ian always finishes sixth. I always think of him as more of a mountain runner, but he's won huge 100-milers all over the world and unless something goes wrong I can't see him outside the top 10. My dark horse pick, I can't understand why this guy doesn't get more attention. I just love his form recently. Third at UTMF in September and first at HURT in January. He's always hanging around the back half of the top 10, and has been running well in early 2016.